Ear in the Envelope Inc - Metal Stamping Jewelry Blog: My Tools Scratch My Metal - What Can I Do? My Tools Scratch My Metal - What Can I Do? Tools scratching your metal can be such a headache when you're making jewelry. 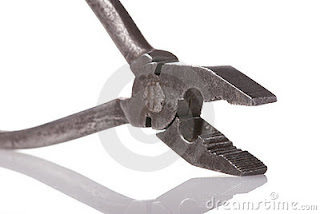 I've got a solution that I use for almost all of my own tools. I get a thin piece of leather or foam (like the craft foam used to make those silly visors or letters). Cut a square the width of the inner flat area of the tool. Then glue the square onto that inner flat area of your tool. 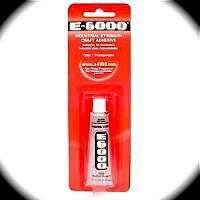 I use E-6000 adhesive - my very favorite. Place a thin layer on the metal, a thin layer on the leather. Then attach the leather to the tool. LET IT DRY FOR 1 DAY. It's so temping to use it sooner....... but don't. The leather is where you will place the front side of your metal. 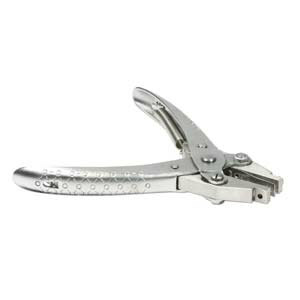 I actually have a pair of pliers that have leather on each side on of the inner flat areas. This has been one of my favorites. Ear in the Envelope Inc. Your place for Pure Aluminum Food Safe Jewelry Supplies.